Howard County (pop. 82,752) is west of Grant County. 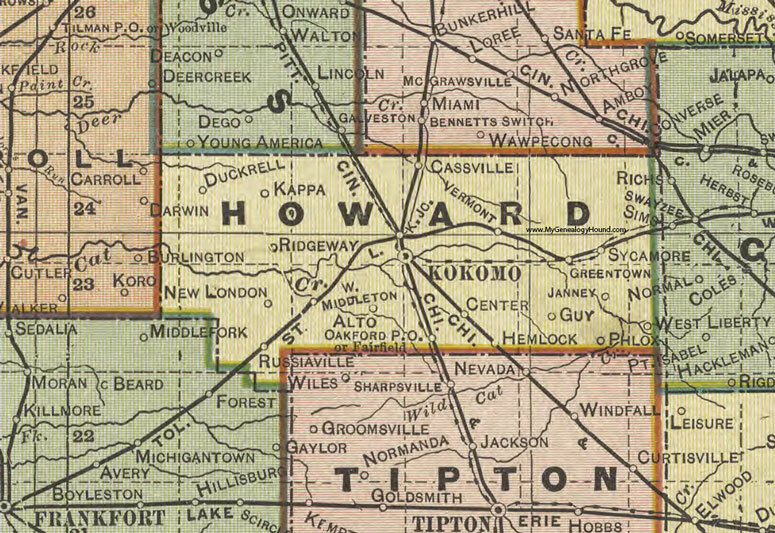 It’s one of seven Howard counties in the U.S. Those seven counties are named for six different people named Howard. This Howard County (and Iowa’s) are named for Gen. Tilghman Howard (1797-1844), an attorney and U.S. congressman from Indiana. The county seat of Howard County is the city of Kokomo. Its population in 2010 was 45,468; after it annexed more than seven square miles in 2012, its population reached about 57,000. 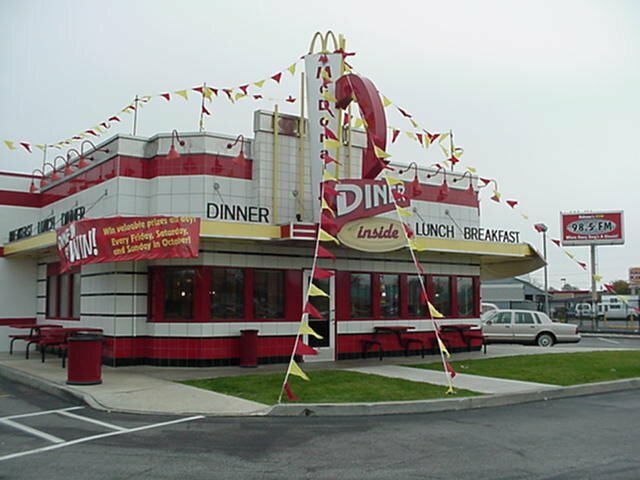 Kokomo also had the first McDiner – a McDonald’s with a diner inside – in 2001. This experiment in table service at McDonald’s was soon discontinued. Indiana University Kokomo was established in 1945. It has about 4,000 students. The Seiberling Mansion (1889) is now part of the Howard County Historical Museum. The “Kokomantis” is a scrap-iron sculpture in downtown Kokomo. It’s 17 feet tall and 22 feet long. 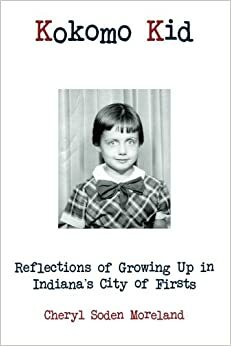 Kokomo was the hometown of Norman Bridwell (1928-2014), author of the “Clifford the Big Red Dog” books. 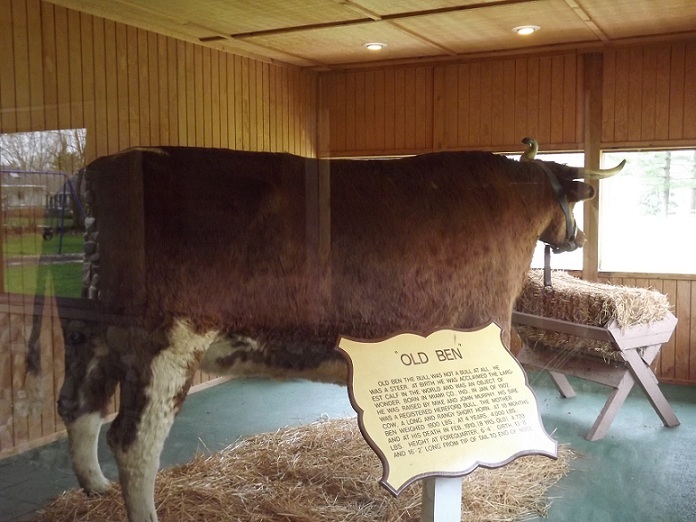 This entry was posted in Indiana and tagged Indiana University Kokomo, Kokomo, Norman Bridwell, Seiberling Mansion. I’ve always really disliked the “Clifford the Big Red Dog” books and been surprised that anyone (including, unfortunately, my family) bought them. I had no idea that the Kokomo in the song was fictional. I should listen to lyrics. thnx for the infor on the mcdiner; had heard about it and now I know.